Midsummer is a time of plenty in walleye fisheries around the country. Habitat and forage options are at seasonal peaks, allowing hungry ‘eyes to scatter more so than at any other time of year. Still, you’ll often find 80 percent of the fish in 20 percent of the water. 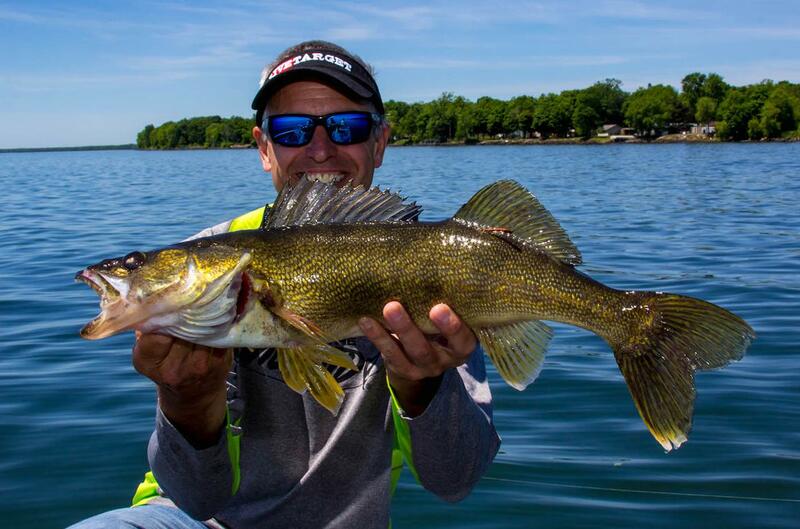 By targeting classic fish-holding edges with proven presentations, you can consistently find and catch walleyes while other anglers scramble aimlessly around the lake. My summer game plan starts at the deep weedline. Food and cover often combine to create feeding scenarios opportunistic walleyes can’t resist. If that doesn’t pan out, I test the waters on other transitions such as changes in depth or bottom content. For example, areas where the bottom shifts from clay or mud to sand, rock or gravel are perennial producers. Likewise, drop-offs where a steep break settles into a lake’s main basin are worth checking, as are the edges of mid-lake structure. 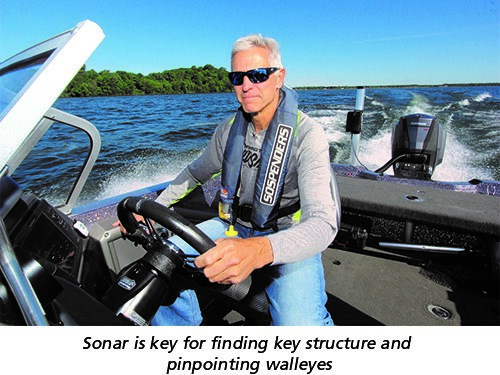 Sonar is a great tool for pinpointing potential hotspots. To confirm the presence of walleyes, I cover water with search tactics like a fixed-arm bottom bouncer and spinner or slow death rig. Trolling crankbaits can be equally deadly. Long-lining works wonders in consistent depths. 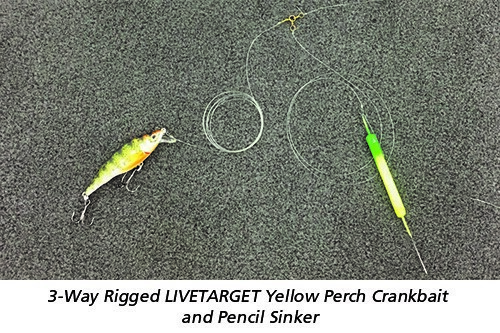 When fishing irregular contours, as well as water deeper than 15 to 20 feet, I add a pencil sinker on a three-way rig to keep the lure close to bottom. In general, match your presentation’s color and profile to that of the forage base. 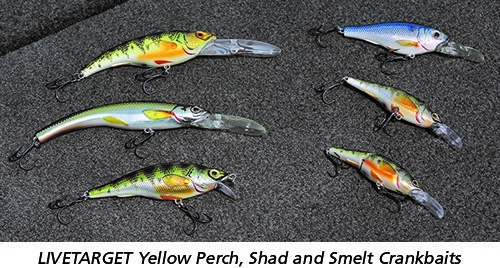 In many systems, yellow perch are the main course, which makes perch-pattern spinner blades and members of LIVETARGET’s Yellow Perch crankbait family top choices. Before heading to the lake, check DNR lake survey results to find out for sure, then select lures and components accordingly. Don’t expect to stumble into massive schools of fish. You’re more likely to find a few scattered here and there. When you get bit, by all means, turn around and check for more fish, but don’t spend an hour hovering over an area that produced a bite. Your next strike is most likely waiting 100 yards further down whatever summertime transition you’re fishing at the moment. You’re receiving this because you subscribed via our site.